Every fall I offer mini sessions. Fall is one of my busiest times of the year! I'm so lucky to live in New England where we get some great foliage and the weather is my favorite. It's not too hot or too cold, you get to wear some cute clothes, and do fun activities like apple picking! 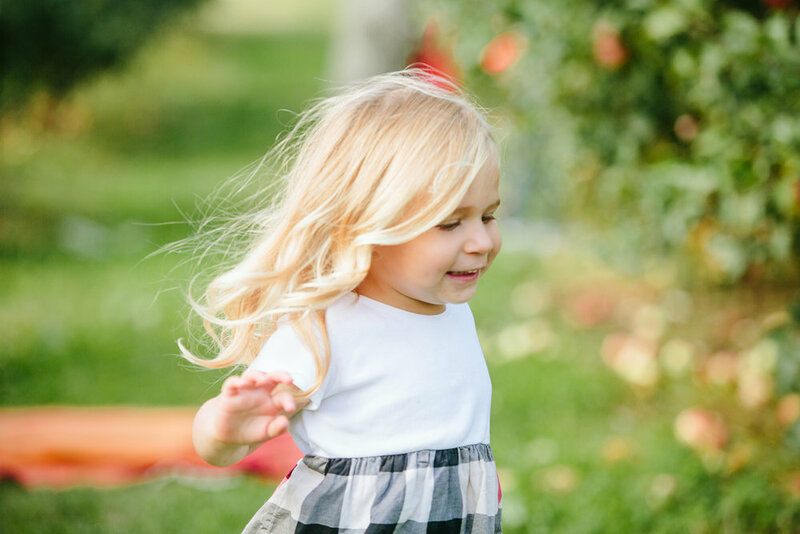 A few years ago I started offering mini sessions at the apple orchard, and they get more and more popular each year. I sold out faster than ever this year, and I had some wonderful families! Last week I shared a family session from these minis, and today I'm sharing some of this adorable little girl! She sat right down and started munching on an apple. It was the cutest! 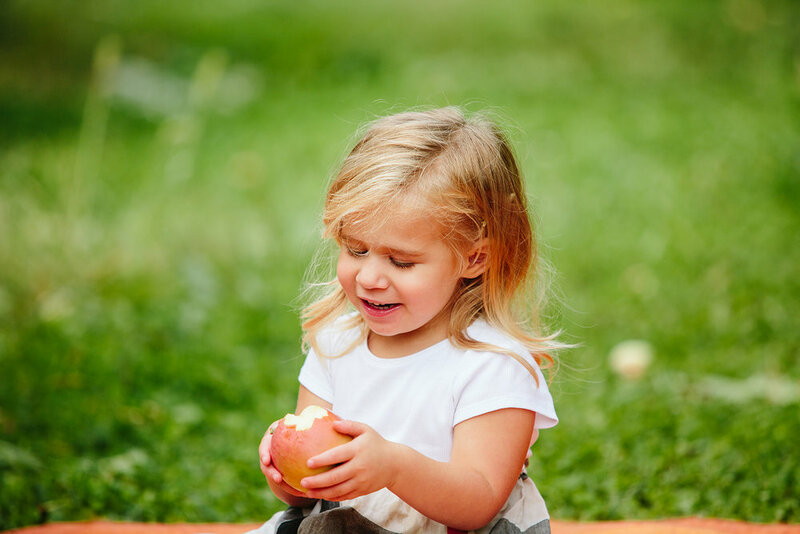 I had so much fun capturing her posing for me, and having a blast picking and eating the apples. Seriously, what a cutie-pie! 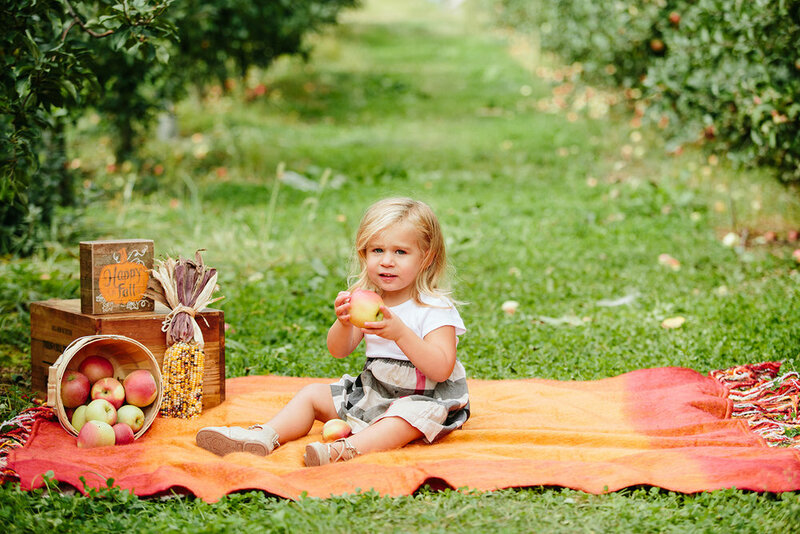 Here are some of my favorites from this session at Keith's Farm and Orchard in Acushnet, MA!